All-new Liquid Retina display - the most advanced LCD in the industry. Even faster Face ID. The smartest, most powerful chip in a smartphone. And a breakthrough camera system with Depth Control. 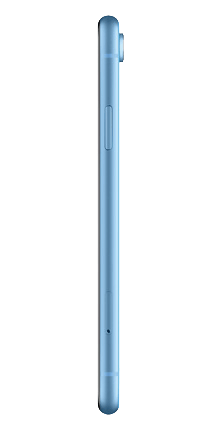 iPhone XR. It's beautiful any way you look at it. Introducing Liquid Retina. 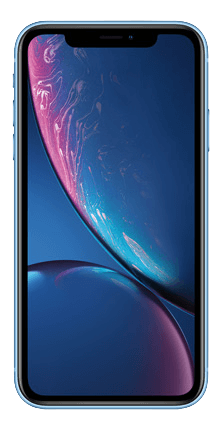 The new display on iPhone XR is the most advanced LCD in the industry. An innovative backlight design allows the screen to stretch into the corners. So you see true-to-life color from one beautiful edge to the other. A Service Plan is required for Activation. Plans are not returnable or refundable. iPhone purchases are limited to a maximum of 2 per order. 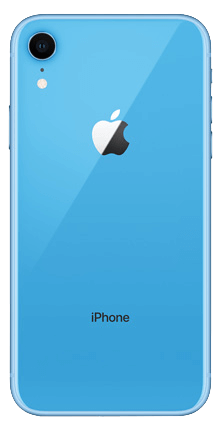 ¹iPhone XR is splash, water, and dust resistant and were tested under controlled laboratory conditions with a rating of IP68 under IEC standard 60529 (maximum depth of 2 meters up to 30 minutes). Splash, water, and dust resistance are not permanent conditions and resistance might decrease as a result of normal wear. Do not attempt to charge a wet iPhone; refer to the user guide for cleaning and drying instructions. Liquid damage not covered under warranty. iOS 12 - iOS is the world's most personal and secure mobile operating system, packed with powerful features that help you get the most out of every day. Built-in rechargeable lithium-ion battery - Wireless charging (works with Qi chargers10) - Charging via USB to computer system or power adapter.